July 23, 2012, Seattle, WA – GeekGirlCon is pleased to announce the addition of Ashley Eckstein to the GeekGirlCon ‘12 lineup of guests, which includes TV and comic book writers, illustrators, broadcasters, novelists, local celebrities and superheroes, and a video game architect. Eckstein currently stars as the voice of Ahsoka Tano in Star Wars: The Clone Wars, the animated movie and television show. Her devotion to Star Wars extends well beyond her years as a voice actor for the show’s four seasons. She currently blogs for The Official Star Wars Blog and is the founder of Her Universe, the first merchandise line exclusively for female science fiction fans. 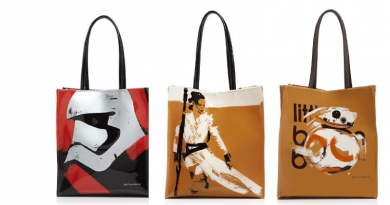 She created the company to provide female fans an equal opportunity to show off their Star Wars pride. Her Universe products have since expanded to other well-known franchises such as Syfy, Doctor Who, and Star Trek. Eckstein will join other fanatics on Saturday as a member of the Star Wars panel From Jedi Princess to Sith Witch: An Exploration of Female Characters in Star Wars. 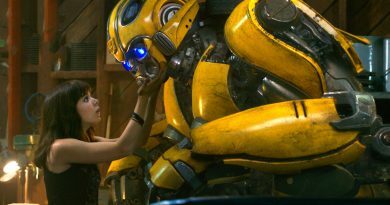 She will also be available for media signings and will be featured in the GeekGirlConnections room, where convention guests can network and get mentorship and advice from professionals who work in their desired career fields. Eckstein started acting as a child in Orlando and starred in a television show for Sea World titled Shamu TV. After high school, she moved to Los Angeles, finding success in television as Jan Brady in The Brady Bunch in the White House; as a regular cast member on Jeff Foxworthy’s show Blue Collar TV; and as Muffy on That’s So Raven. In addition to her television career, Ashley played a supporting role in the Amanda Bynes film Sydney White and a starring role in the film Alice Upside Down. 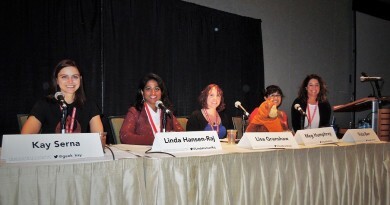 GeekGirlCon ‘12 will be held August 11 and 12, 2012, at The Conference Center, located in downtown Seattle, and will include panel discussions, workshops, a floor for gaming, and additional events. The two-day convention is the second annual GeekGirlCon, after the inaugural 2011 convention attracted a sold-out crowd of over 3,500 over two days. GeekGirlCon celebrates and honors the legacy of women contributing to science and technology; comics, arts and literature; and game play and game design by connecting geeky women worldwide and creating community to foster continued growth of women in geek culture through events. Ashley Eckstein joins previously announced guests Renae De Liz (Womanthology), Jane Espenson (Buffy the Vampire Slayer, Battlestar Galactica, and Warehouse 13) and the cast of Husbands, Jamala Henderson (KUOW Radio), M.J. McDermott (Seattle Meteorologist and Geek Girl), Purple Reign (Seattle Activist and Superhero), Greg Rucka (Keeper, Queen & Country, Whiteout), Gail Simone (Women in Refrigerators List, Birds of Prey, Wonder Woman), Jen Van Meter (Hopeless Savages comics and graphic novels), and Corrinne Yu (Halo 4, Microsoft Direct3D, Kotaku Top 10 Most Influential Women in Games). Tricia Barr is the founder of FANgirl Blog and is excited to be hosting this year’s GeekGirlCon panel on the female characters of Star Wars that will include Ashley Eckstein. 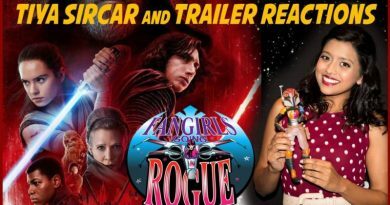 For updates on all things FANgirl follow @FANgirlcantina on Twitter or like FANgirl Zone on Facebook. Tricia Barr took her understanding of brand management and marketing, mixed it with a love of genre storytelling, and added a dash of social media flare to create FANgirl Blog, where she discusses Star Wars, fandom, and the intersection of women within Star Wars fandom. She is co-author of Ultimate Star Wars and Star Wars Visual Encyclopedia from DK Publishing, a featured writer for Star Wars Insider magazine with numerous articles on the Hero's Journey. Her FANgirl opinions can be heard on the podcasts Hyperspace Theories and Fangirls Going Rogue. Tricia Barr's novel, Wynde, won the 2014 Independent Publisher Book Award Gold Medal for Best Science Fiction/Fantasy/Horror Ebook. She was also part of Silence in the Library's successful all-female creator science fiction and fantasy anthology Athena's Daughters, which is available now. For excerpts and tales of her adventures in creating a fictional universe, hop over to TriciaBarr.com. Tricia Barr took her understanding of brand management and marketing, mixed it with a love of genre storytelling, and added a dash of social media flare to create FANgirl Blog, where she discusses Star Wars, fandom, and the intersection of women within Star Wars fandom. She is co-author of Ultimate Star Wars and Star Wars Visual Encyclopedia from DK Publishing, a featured writer for Star Wars Insider magazine with numerous articles on the Hero's Journey. Her FANgirl opinions can be heard on the podcasts Hyperspace Theories and Fangirls Going Rogue. Tricia Barr's novel, Wynde, won the 2014 Independent Publisher Book Award Gold Medal for Best Science Fiction/Fantasy/Horror Ebook. She was also part of Silence in the Library's successful all-female creator science fiction and fantasy anthology Athena's Daughters, which is available now. For excerpts and tales of her adventures in creating a fictional universe, hop over to TriciaBarr.com.